Offices brightly lit with LED lighting can enhance aesthetics just as much as it can enhance employee productivity and well-being. In general, the office environment is constantly transforming from the traditional setup to one with advanced technology supporting its lighting and logistics. 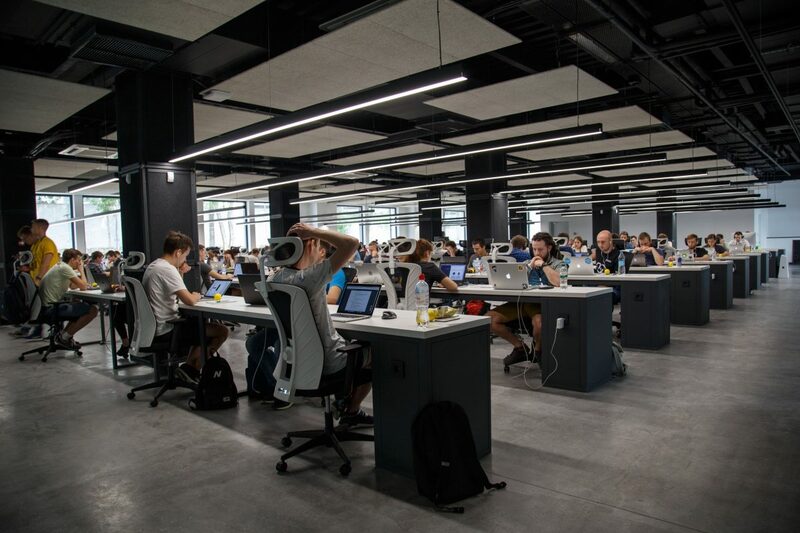 Dimly lit office spaces are making way for more open and brightly lit environments better-suited for product innovation and sales, with more companies replacing their traditional lighting with LED office lighting. While such lighting can prove beneficial by saving energy costs and increasing brightness, you may find the process of choosing and installing LED lights to be challenging. If you intend to improve your staff’s working condition by adopting LED lighting but have no idea where to begin, consider working Conservergy. With extensive experience in creating energy efficient office buildings, our energy consultants have worked with companies just like yours to help them transition into the future. LED lighting has been replacing traditional lighting in commercial spaces over the years, being preferred as the option that is not only efficient but also better-suited for the environment. Office spaces all over the world are now embracing this trend by investing in LED lighting instead of opting for traditional lighting fixtures. If you intend to follow this trend by signing-up your office space for this transformation, here is some information that you should bear in mind. What is an LED? LED stands for Light Emitting Diode, it’s a type of semiconductor that tends to emit light when it interacts with electric current. LED lights have microchips and a host of light-conducting sources which help it function the way that it does. Each office space is unique, with common areas, open cubicles, offices and meeting rooms, each of which requires a different type of lighting. When fitting your office space with LED lights, you need to be aware of the various options that you could choose from. However, you can avoid doing this research yourself by hiring us to do it for you. Basic LED bulbs – Similar in appearance to traditional bulbs, basic LED bulbs are the most standard bulbs in the LED category. LED tubes – Created to provide more brightness, these tubes are replacing traditional fluorescent tubes in office spaces. Panel light – A flat, panel-style LED light, this is common in large office settings. Globe bulbs – Created to fit in special fixtures, this bulb is quite decorative and similar in a way to the classic LED bulb. Candle bulbs – Shaped like a narrow flame, the candle bulb is typically used in chandeliers and decorative lamps. Smart bulbs – Bulbs that can be connected to and controlled from smartphones, smart bulbs are convenient for massive spaces such as auditoriums and meeting rooms. Coloured LED lighting – While LEDs were originally available in limited colours, they can now be found in pretty much any colour that you desire. Dimmed LED lighting – Effectively lighting up an office space needs some understanding of how to mix bright and dim lights. LEDs also come in dimmed versions. Alternatively, you can choose normal LED bulbs fixed with custom dimmable switches. Apart from the type of LED lighting, you also have to consider brightness and light distribution patterns when deciding how to light up your office space. How bright should my office lighting be? When choosing the brightness of your office lighting, you have to consider how the working experience would be for employees. Lights too bright or dim can create eye problems, fatigue and headaches for employees. This, in turn, can affect your employees’ productivity levels, impacting your business in the long run. How you choose your lighting will also affect presentations, board meetings, product showcases, conference calls, client meetings and other such events. Essentially, each room has a unique purpose and so should have its own type of lighting. At Conservergy, lighting experts and energy consultants work together to audit your office space and determine the right lighting plan for your particular setup. Whether or not you will also purchase task lighting – your overhead or wall lighting can be less bright if you plan to complement it with desk lighting. Whether the lighting will be direct or indirect – If you have lights fixed such that they don’t directly fall over workstations or the projection wall, then you can choose brighter lighting options. If the lighting is meant to be direct, however, it’s best to choose less bright options. Either way, you can choose brighter options with custom-fit dimming switches to choose a mode based on the situation. What the colours of the walls are – If your walls are light-coloured, they are more likely to reflect your LED lighting. So, lighter walls require less bright lighting. What the size of the bulbs is – If the fixtures are smaller, you may need brighter bulbs to compensate for the narrow lighting. What natural light is available in the area – If a certain room already has a lot of natural lighting, it may not require many bright lights. What light distribution pattern should we use? Light distribution patterns in a workspace are critical because they decide the brightness and visibility in any room. Choosing light distribution patterns for office space is critical because it can affect your employees’ productivity and in-office experience. 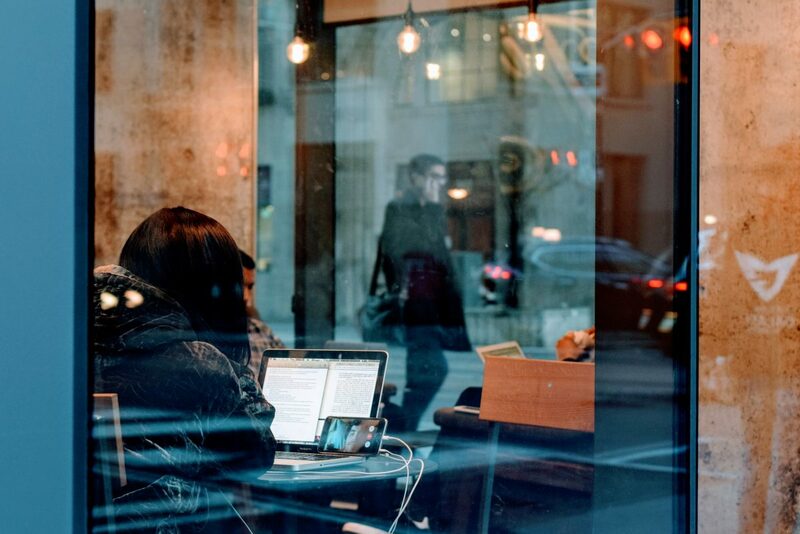 Properly lit office spaces also breed enthusiasm and motivation in employees working in them. So, how does one decide on the right light distribution pattern? In indoor spaces, lights that typically create beam spreads with a 30-degree flood, 270-degree omnidirectional flood or 8-degree spots are chosen. The degree of the lighting determines what surfaces the light ends up touching. You can’t choose a light with a 40-degree angle to pinpoint a surface 30 feet away. You have to consider the lighting capacity when choosing where to place the lights in your office space. Your light distribution pattern also depends on the size of the bulbs that you are choosing. If the bulbs are smaller, you can choose a more dense light distribution pattern to keep your office space brightly lit. If the bulbs are larger or in panel form, you can keep the distribution less dense because each bulb is capable of lighting up a larger portion of a room. Just as the size of the bulb and its degree of the light flood, you should consider the bulb’s lighting intensity when deciding on your light distribution pattern. 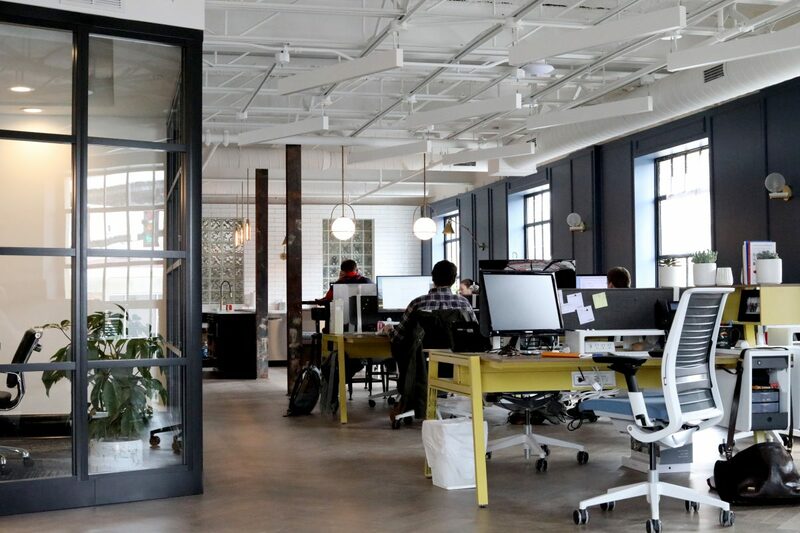 Lighting experts at Conservergy are experienced in analysing office spaces and deciding the best office lighting solutions for your unique workspace. How should the fixtures be spaced? Choosing how your fixtures should be spaced is critical because fixtures placed too closely can cause overlap and too much brightness, resulting in headaches and eye problems for employees. Fixtures placed too far apart can create shadow spots, giving rise to similar eye strain and problems. To choose the optimum distance between lighting fixtures in an office space, you should keep in mind the above issues. There’s a tried and tested method to choose the optimum space between lighting fixtures. At Conservergy, our lighting experts use this method to decide how best to position your lights. After a thorough audit of your workspace, our lighting experts consider your focal point, office design and desired functionality to decide how to space your lighting fixtures. This process is done such that you don’t suffer the consequences of extra-bright lighting, shadow spots and blind corners. For office facility managers and business owners, electricity bills are an unavoidable overhead cost. This cost even increases during winters when employees need more lighting and temperature control. These energy costs can be cut by encouraging employees to shut down computers and lights when they are not in use. 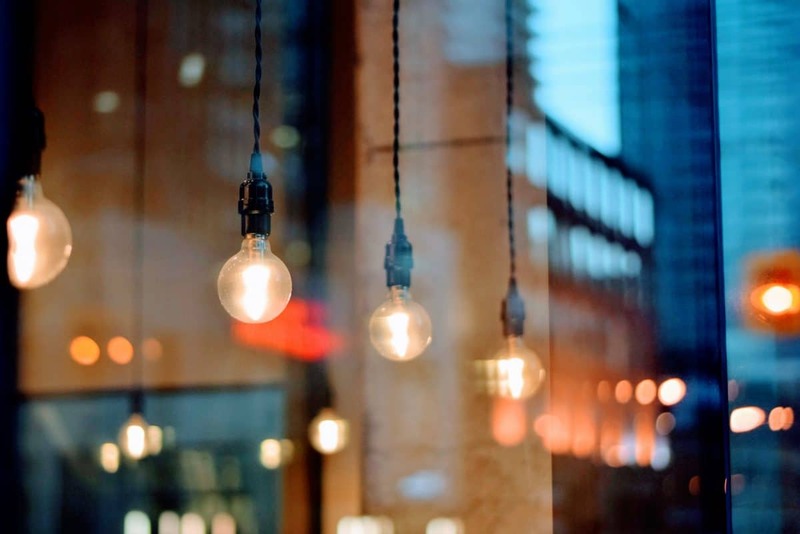 But for substantial energy savings, you have to consider more impactful measures such as replacing traditional lighting for energy efficiency in office buildings. There are various benefits to choosing LED office lighting. Here’s a short list of reasons why you should choose them. Cost savings – LED lights consume as much as 75% less energy, while lasting 20-25 longer. This can significantly decrease your energy and office logistics bills. Better performance – LED lights are said to closely mirror sunlight, being more natural and healthy. Such lights also tend to be brighter than traditional lighting. Environmental friendly – LED lights are easier to dispose of than traditional incandescent bulbs. They also don’t emit CFLs that are harmful to the earth’s ozone layer. 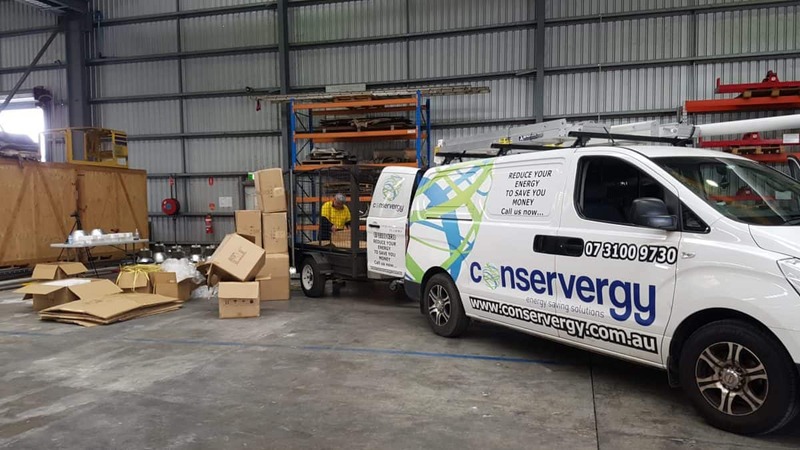 At Conservergy, we are dedicated to helping you create energy-efficient office buildings by switching out traditional lighting for LED office lighting. Through thorough lighting audits, extensive planning and perfect execution, we aim at transforming your workplace with our lighting and energy-saving expertise. If you are ready to transform your workplace into an energy-efficient, cost-saving and environment-friendly set-up, contact us today at 07 3100 9730 and allow our lighting consultants to get you started right away.